I’ve come *thisclose* before to making tarte tatin after we’ve gone apple picking, but I’ve always chickened out. It’s a lot of pressure, especially since it’s Adam’s absolute favorite dessert. But this year, I once again bought some Dufour frozen puff pastry and worked up the nerve with some Romes and Staymans that we picked. 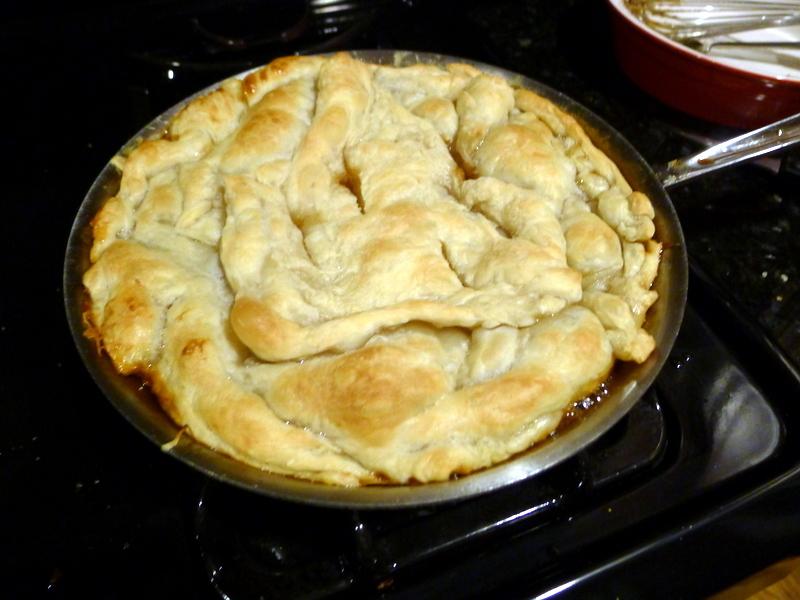 And I used Smitten Kitchen’s recipe, adapted from Julia Child. And it worked. Really, really well. Cooking the apples in the caramel was a little terrifying. The caramel kept clumping at first, and I was nervous about burning it in my attempts to get it thin and syrupy. I shouldn’t have been nervous. 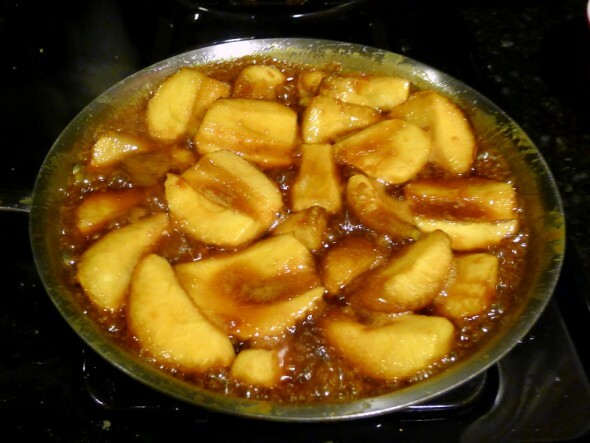 All of a sudden the skillet went from this glob of undercooked apples and gloopy caramel to velvety, melty apples with perfectly sticky and spoonable caramel syrup. It was like a magic moment, I just had to be patient enough to get there and stop worrying about burning everything. And then it almost fell apart in the baking. 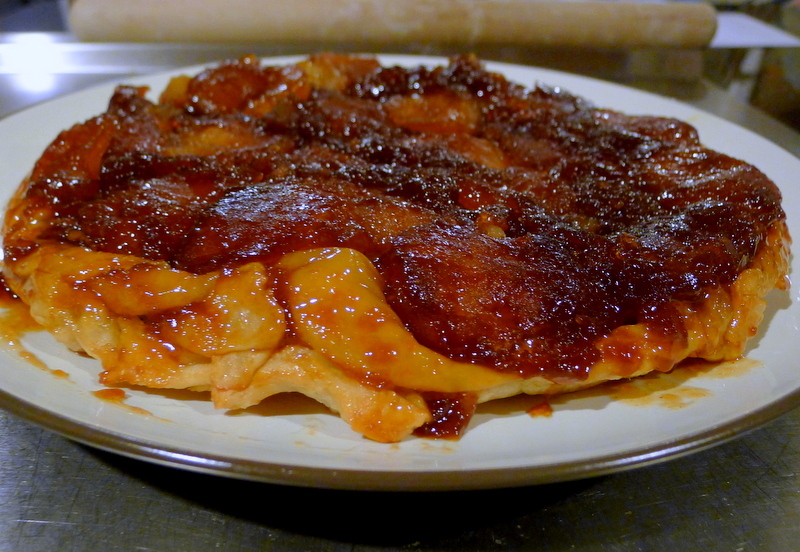 I baked it for 20 minutes according to the recipe and the pastry directions, and the dough was undercooked with apples tasting slightly of burnt caramel. Even though the pastry looked pretty good out of the oven. Then I put it back in the skillet and back in the oven for another 15 minutes. 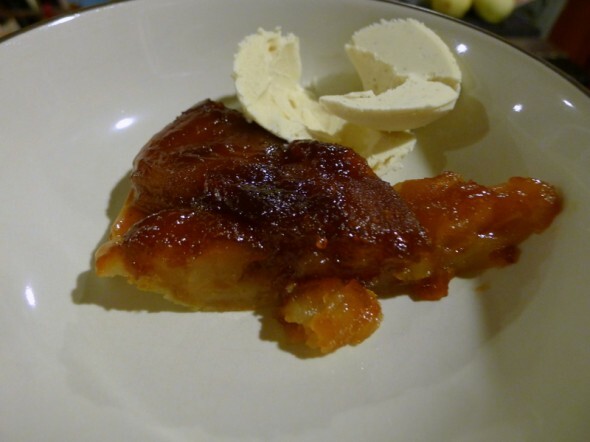 When it came out again the pastry was perfect and the burnt caramel taste had completely disappeared and been replaced with the most amazing pure apple flavor I’ve ever had. And it melted in your mouth. Who would have thought that baking it longer would make it taste less burnt? It was magical. 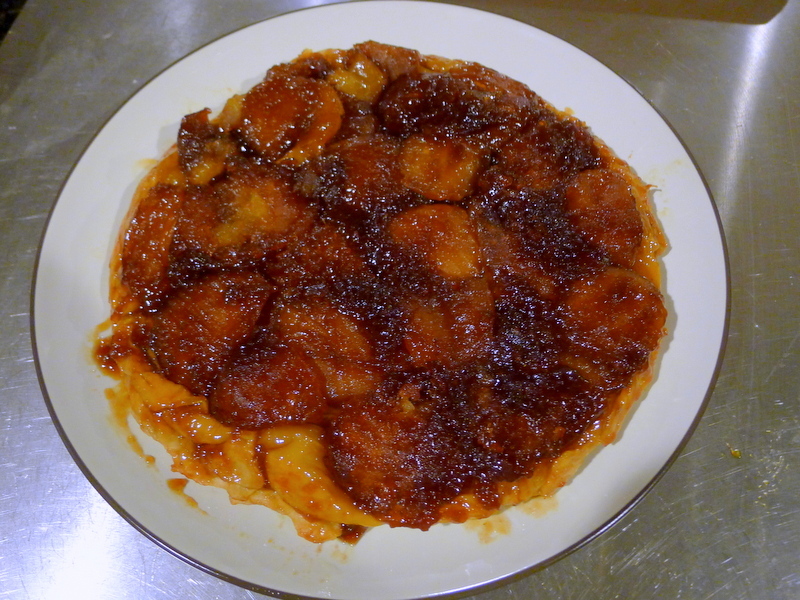 I’m not going to repost the recipe here, Smitten Kitchen does a much better job of prep photos and directions. But it was phenomenal. Howdy! I just would like to give an enormous thumbs up for the great info you’ve gotten right here on this post. I might be coming back to your weblog for extra soon.